Arturo Minera graduated from NKU in December 2014 with approximately $5,000 per semester of debt over a four and a half year period. His situation exemplifies just one of thousands of students who cope with student debt. He often thinks ahead to June, when he will have to start paying his loans. Minera works to be proactive by saving his money, but feels the loan situation is just something that he will have to deal with when the time comes. In 2013, 68.3 percent of students at NKU had some sort of financial aid or loan takeout. The experiences of NKU students with debt, like others across the country, have taken a toll. Some examples include having a negative outlook on life, dealing with lack of sleep, and living an unhealthy lifestyle. “It’s definitely the number one stressor on my list, but when I hear other stories of student debt, I am reminded that it could be worse,” Minera said. Minera currently freelances films and works for Cincinnati Public Schools. Andrew Carter graduated in May 2014 with a bachelor’s degree in history. Carter graduated with $31,000 in debt and dealt with health-related issues because of it. Carter used to work out at least four days a week but has been set back due to lack of finances toward a gym membership. “I’m not able to go to the gym as much because I can’t afford a gym membership. I had trouble finding a job during school that offered me enough hours to save up to pay off my loans,” Carter said. Carter currently lives at home with his parents in Crestview Hills, KY, a decision he was forced to make in light of his debt situation. Although Carter is happy with his decision to attend college, he has concerns about his future. “My interest is 4.5 percent, which is very stressful. In the back of my mind, I always stress about when I will be able to completely support myself since my loans get higher each year with interest,” Carter said. For the 2015-16 academic year, NKU will increase its tuition 3.2 percent. The increase will generate a total of $8,736 for Kentucky residents and $17,472 a year for non-Kentucky residents, living outside of the metro area. NKU has a ceiling to how much tuition can be raised over a period of time. In a two-year period, NKU can only raise tuition 8 percent. In 2014, tuition rose 4.75 percent. Connor Mckee, a media informatics major, will graduate in May 2016 with an estimated $42,500 in student debt. Mckee currently lives at home in Fort Mitchell, KY, to save money. McKee works 28 hours a week at a pharmacy. “Every time I am faced with having to take out another loan, that loans sits in the back of my mind and can be a heavy weight to hold,” said McKee. “Little things like eating healthy and making time to work out can be difficult since I am more focused on saving money. It is easier to just not buy a gym membership or buy a $1 burger than to spend $20 on a healthier option,” he said. NKU has a lower average student debt compared to surrounding four-year universities. Approximately $16,225 is the amount of debt students are in after undergraduate study. According to College Factual, at the University of Kentucky the average amount of debt is $21,704. The average amount of student debt at Western Kentucky University amounts to $23,312. The average debt of Eastern Kentucky University students is $21,956, making NKU’s average debt comparatively lower. Andrew Espelage serves as a financial fitness coordinator for NKU students. Through his role, he counsels and gives advice to students who struggle with student loans. The main health issues Espelage observes in students are lack of sleep, stress and depression. “I hear people say ‘I just want to drop out,’ because it’s too much or there is just not enough time in a day,” he said. Espelage says that some students are so frustrated and angry that he sends them to the Wellness Center for further help. Some employers have taken the initiative to set up programs that help newly-hired college graduates deal with student debt while working. Annette Brumberg-Drake has been working at Miami Valley Hospital in Dayton, Ohio for 31 years. She received her master’s degree in nursing administration from Wright State and serves as the magnet program coordinator for the hospital. The magnet coordinator is in charge of maintaining “magnet status” or a high level or recognition for a hospital. Brumberg-Drake also helps run an Employee Care Program, which helps newly-hired nurses cope with the stresses that come along with working life, such as student debt. The financial burden of student debt, along with other factors, led to the creation of the Employee Care Program to help nurses cope with issues such as dealing with student debt, working long hours and transitioning to a new lifestyle. Brumberg-Drake has seen issues through this program such as lack of self-care, depression, stress/anxiety disorders, poor sleeping habits, loss of friendships, weight gain, lack of physical exercise, poor attendance, quick job burnout and more use of alcohol and drugs. The nurses attend program sessions at the two- and five-month mark at their beginning journey as a nurse. “During our discussions, our new nurses struggle with financial burdens that they have dealt with as a student while balancing how to take of themselves, and the responsibility that comes with being a new nurse,” Brumberg-Drake said. The Employee Care Program has partnered with local colleges to help guide students on how to deal with student debt, while maintaining a healthy lifestyle. and are dealing with debt: “Look for a peer coach or financial counselor that your university provides to help deal with debt better and understand your loan options,” she said. NKU has resources such as the financial fitness office to help students. A study published in the Journal of Social Science and Medicine in 2013 looks at how debt has affected the physical and mental-health of those with financial debt. The study was divided into four different waves. 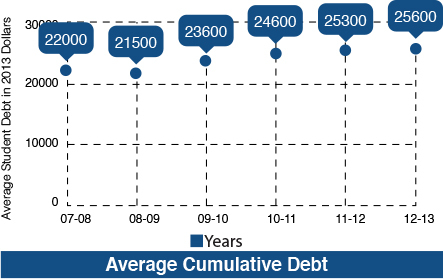 The study conducted 20,000 interviews of people dealing debt. The study also followed around students of different diversities to witness first-hand the effects of debt on their health with things such as stress, blood pressure, depression, and general health. “Our findings show that reporting high financial debt relative to available assets is associated with higher perceived stress and depression, worse self-reported general health, and higher diastolic blood pressure,” researchers stated in the study. With student debt on the rise, a growing trend of health issues accompanying student debt have taken a new meaning in today’s world. Companies are beginning to take action by offering programs. New research by academia displays the health risks. NKU recently created the financial fitness office to help students overcome debt issues.